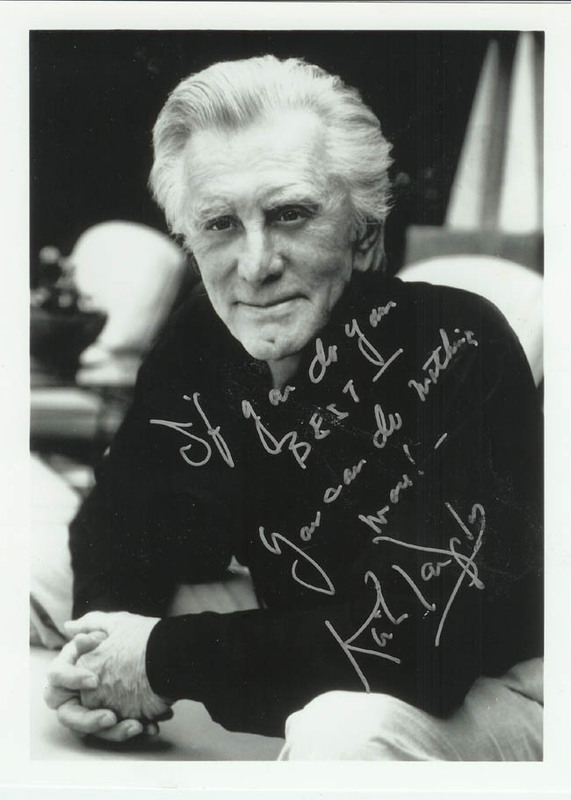 Kirk Douglas has been in movies since just after World War II. Many of my students are familiar with his work in "20,000 Leagues Under the Sea" and "Spartacus" (Although in recent years, more students are familiar with "Gladiator" than "Spartacus".) His son, Michael, is also well known to my students. Many of my students can identify with Mr. Douglas, as they have grandparents who have had strokes, as he has.